How to Invest in DSP Mutual Fund Online? Why Opt for DSP BlackRock Mutual Fund? DSP BlackRock (DSPBR) Mutual Fund is a joint venture between DSP Group and BlackRock Inc. DSP is an old Indian Financial Firm having its presence for more than 150 years. On the other hand, BlackRock Inc. is the largest listed AMC in the world. DSP BlackRock offers a variety of mutual fund schemes. It is one of the most popular Mutual Fund company in India and has a performance record of more than 2 decades in investment excellence. The DSP BlackRock Mutual Fund was earlier known as DSP Merrill Lynch Mutual Fund till 2008 before BlackRock took over the entire investment management division of Merrill Lynch across the globe. 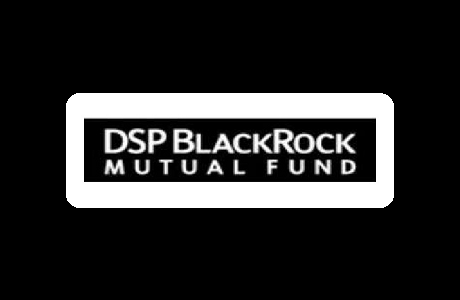 As mentioned previously, DSP BlackRock Mutual Fund is a joint venture between DSP Group and BlackRock Inc. In this joint venture, DSP group holds 60% of the stake while the remaining 40% is held by BlackRock Inc. This partnership ensures to deliver a strong foundation for investors to invest in future. The DSP Group has played a vital role in the professionalization of capital markets in India and is one of the founding members of BSE. BlackRock Inc., the other partner in the venture is one of the world’s largest investment management firms. It has its presence in more than 30 countries and has more than 135 investment teams. The Mutual Fund company believes that with a disciplined investment approach, sophisticated analytical tools, and with experienced investment professionals, it can consistently deliver the desired results to its investors. DSP BlackRock offers numerous open and close-ended schemes with different strategies. DSP BlackRock offers a bouquet of Mutual Fund schemes under different categories to cater the varied requirements of its individuals. Some such categories of Mutual Fund along with the best scheme under each category are listed below as follows. Equity Funds invest a predominant stake of their corpus in equity shares of various companies. These funds can be considered as a good investment option in long-run. The returns on equity funds are not fixed. Equity shares are classified into various categories such as Large cap funds, mid cap funds, Small cap funds, and so on. Some of the top and best schemes of DSP under equity category are tabulated as follows. Debt funds refer to the Mutual Fund scheme whose maximum stake of the corpus is invested in fixed income instruments. Some of the fixed income instruments include treasury bills, government Bonds, corporate bonds, commercial papers, Certificate of Deposit, and much more. The price of Debt fund does not fluctuate much as compared to equity funds. People who are risk-averse can choose to invest in debt funds. Some of the top and best schemes offered by DSPBR under debt category are given below as follows. Hybrid as the name suggests is a combination of equity and debt funds. In other words, these funds invest their corpus in a combination of equity and debt instruments based on a pre-determined proportion. Hybrid funds are also known as balanced funds. If the Mutual Fund scheme invests more than 65% of its corpus in equity funds it is known as Balanced Fund and if it invests more than 65% in debt funds then, it is known as Monthly Income Plan (MIP). Some of the top & best hybrid schemes offered by DSPBR are listed below. The primary investment objective of the Scheme is to generate long-term capital growth from a portfolio of equity and equity-related securities including equity derivatives. The portfolio will consist of multi cap companies by market capitalisation. The Scheme will hold equity and equity-related securities including equity derivatives, of upto 30 companies. The Scheme may also invest in debt and money market securities, for defensive considerations and/or for managing liquidity requirements. There is no assurance that the investment objective of the Scheme will be realized. DSP BlackRock Focus Fund is a Equity - Focused fund was launched on 10 Jun 10. It is a fund with Moderately High risk and has given a CAGR/Annualized return of 10% since its launch. Ranked 27 in Focused category. Return for 2018 was -5.6% , 2017 was 29.2% and 2016 was 6.1% . Gopal Agrawal 1 Oct 18 0.34 Yr.
Jay Kothari 11 Dec 14 4.14 Yr.
DSP BlackRock Midcap Fund is a Equity - Mid Cap fund was launched on 14 Nov 06. It is a fund with Moderately High risk and has given a CAGR/Annualized return of 14.7% since its launch. Ranked 20 in Mid Cap category. Return for 2018 was -10.2% , 2017 was 39.8% and 2016 was 11.4% . Vinit Sambre 1 Jul 12 6.59 Yr.
DSP BlackRock World Gold Fund is a Equity - Global fund was launched on 14 Sep 07. It is a fund with High risk and has given a CAGR/Annualized return of 1% since its launch. Ranked 11 in Global category. Return for 2018 was -10.7% , 2017 was -4% and 2016 was 52.7% . expected amount after 5 Years is . DSP BlackRock Tax Saver Fund is a Equity - ELSS fund was launched on 18 Jan 07. It is a fund with Moderately High risk and has given a CAGR/Annualized return of 13.8% since its launch. Ranked 12 in ELSS category. Return for 2018 was -7.6% , 2017 was 36.3% and 2016 was 11.3% . After SEBI's (Securities and Exchange Board of India) circulation on re-categorisation and rationalisation of open-ended Mutual Funds, many Mutual Fund Houses are incorporating changes in their scheme names and categories. SEBI introduced new and broad categories in Mutual Funds in order to bring uniformity in similar schemes launched by the different Mutual Funds. This is to aim and ensure that investors can find it easier to compare the products and evaluate the different options available before Investing in a scheme. *Note-The list will be updated as and when we get an insight about the changes in the scheme names. DSPBR offers SIP mode of investment in most of its Mutual Fund schemes. SIP or Systematic Investment plan is an investment mode where people invest in Mutual Fund schemes in small amounts at regular intervals. Through SIP, people can invest as per their convenience and achieve their objectives within the set timeframe. DSP BlackRock like other Mutual Fund companies offers mutual fund calculator to its investors. Also known as sip calculator, it helps people to calculate the amount they need to save today to attain the future objectives. It also shows how their SIP investment grows over a period of time. Using the Mutual Fund calculator people can determine which scheme they need to choose to attain their objectives. You can get your latest DSP BlackRock Account statement via email from DSPBR's website. Or else you can also give a missed call to +91 90150 39000 from your registered mobile number and get account statement on email and SMS. The AMFI's website provides the current and the past NAV of the various schemes of DSP BlackRock. The latest NAV can also be found on the asset management company’s website. You can also check for the historical NAV of the DSP BlackRock Mutual Fund on the AMFI website. The mutual fund schemes offered by the DSP BlackRock have a blend of age-old financial expertise of DSP group and international financial prowess of BlackRock Inc.
SEBI (Securities and Exchange Board of India) regulates the schemes by DSP BlackRock Mutual Fund. As a consequence, the fund house needs to publish the reports of the scheme on a regular basis. Almost all the services and schemes offered by the company are online and just a click away. Acquiring, transactions and management of mutual funds have become much easier. With a rich history of domestic and global financial experience, customer portfolios are handled wisely and dedicatedly. Company’s mutual fund schemes in India are handled by the global risk management team of BlackRock Inc., with most powerful and updated investment tools. DSP BlackRock Mutual Fund gains a lot from the strong global presence of its other parent company, BlackRock Inc.
DSP HMK Holding Pvt. Ltd & DSP Adiko Holdings Pvt. Ltd (collectively) BlackRock Inc.
☆☆☆☆☆ Rated 4.4, based on 7 reviews.